Long before nuclear and steam powered ships ruled the seven seas, sailing boats, powered solely by trade winds, traversed oceans, great lakes and other large bodies of water. A trip from Europe to North America would routinely take three months; with no machinist’s mates to fix the engine, and no aerographer’s mates to help the navigator steer clear of hurricanes, Sailors had to overcome many hardships that seem foreign to today’s Sailors. One Navy rate, however, has been around since the inception of water travel, outdating the Navy itself. “’Boatswain’s mate’ literally translates into ‘lover of boats,’ or ‘ship’s husband,’” said Boatswain’s Mate Chief (select) Justin Alfonso, of Redding, Calif.
Alfonso is a third generation boatswain’s mate, and said he joined the Navy specifically to work as such. 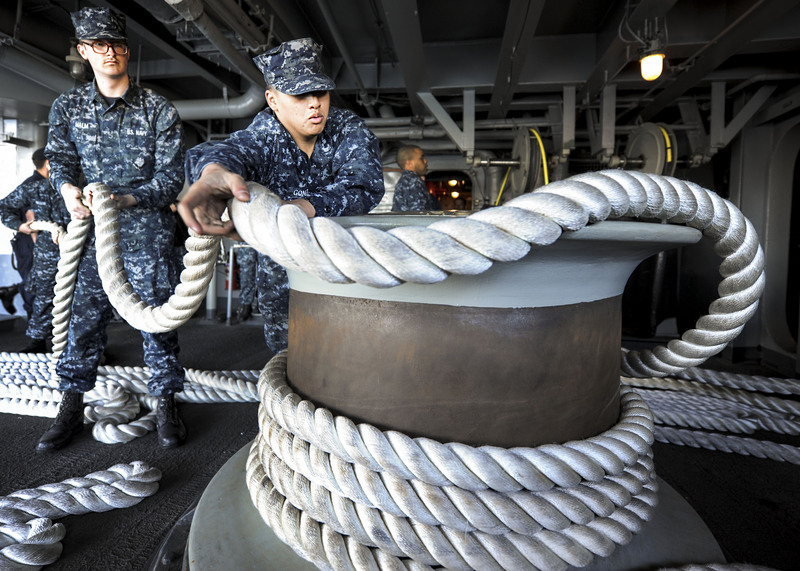 Many Sailors working in Deck department are currently serving as undesignated seamen. Deck Department is comprised of two divisions. 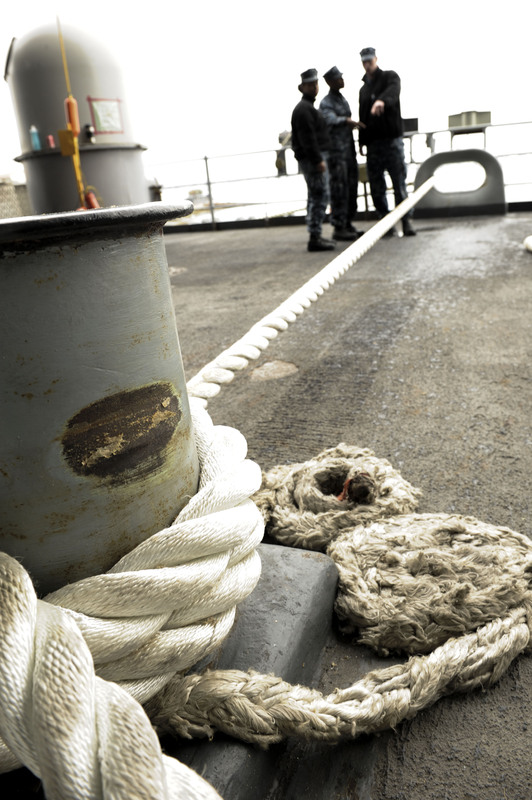 First division is responsible for maintaining the anchors and small boats, while second division takes care of underway replenishment equipment. Both divisions are responsible for securing the ship while mooring, getting underway and general maintenance of the ship itself. 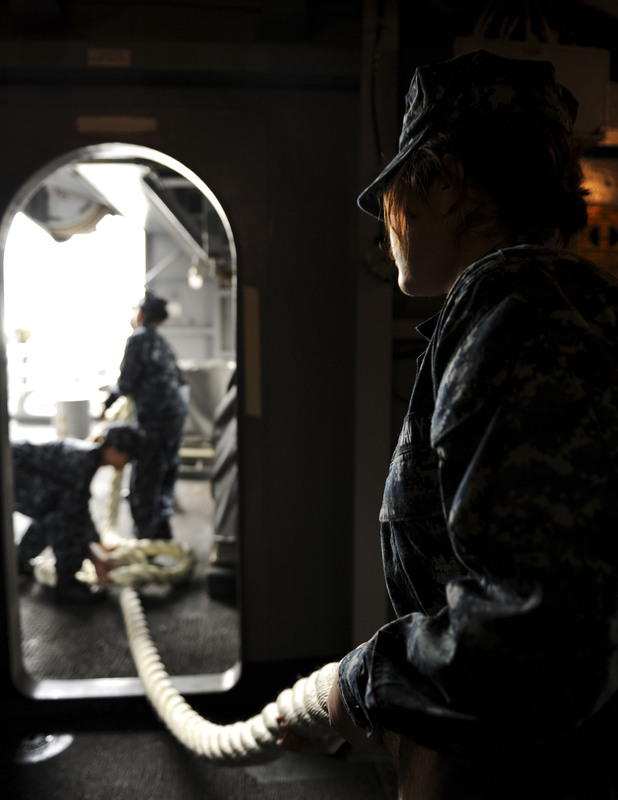 Sailors in each division cross train as well, in order to be proficient with all of the general responsibilities of Deck department. shipmates leave the ship for the day. “When we pull into port, there are a lot of times we have to stick around working – painting the sides or maintaining lines,” said Boatswain’s Mate 3rd Class Kaleigh Hammrich. Hammrich credited the grueling hours and difficult work as the reason boatswain’s mates have a reputation for being close-knit. Like many other Sailors in Deck department, both Hammrich and Brill joined the Navy as undesignated seamen. If Deck department is like a family, it’s a very, very large family. “There are over 120 people in this department, with only two first classes and three second classes,” Brill said. The overwhelming ratio of junior Sailors to senior leadership means Sailors in Deck have to become proficient in their rate and leadership quickly. “We have young Sailors doing jobs that come with a huge responsibility; whether it’s driving the ship, running a small boat for man overboard, or doing an underway replenishment; these are people from all different backgrounds working as a team to get dangerous jobs done quickly and safely,” said Alfonso. 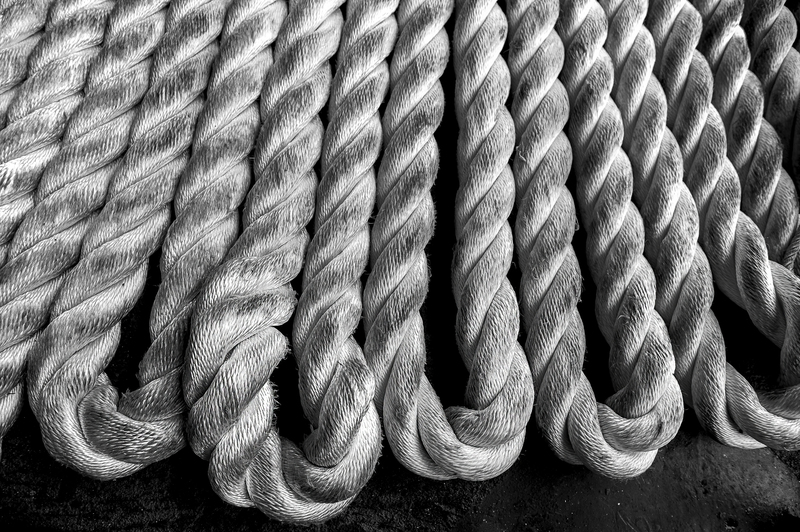 History and tradition go hand in hand with the thrill and danger of being a boatswain’s mate. Today, Sailors in the Navy may hear at least 10 piping calls over the 1MC, notifying them of anything from reveille to tattoo. There are also specific calls to bring Sailors to attention, or for BMs to ‘heave around’ on a line. “The piping calls come from days of sail, when Sailors would pipe someone over the side,” Brill said. He explained that guests to the ship would actually be hoisted over the side of the ship, as a boatswain piped a call to notify Sailors of the company. The pipe was also used during inclement weather, when the captain’s voice couldn’t be heard through thick fog, or over the crashing of waves. 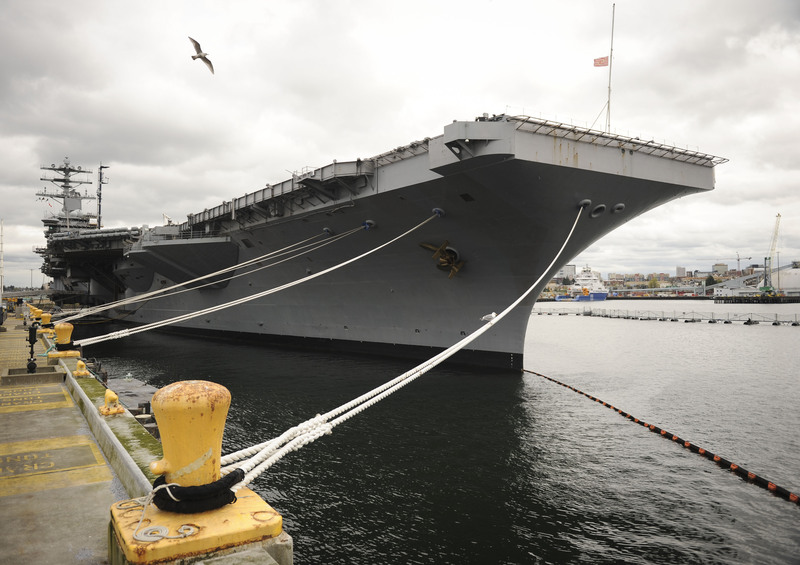 According to Brill, Sailors on board Nimitz will hear more calls when there are little or no flight operations, when it will not interrupt pilot’s sleep schedule. Other pieces of tradition include the sheath BMs wear on their belts, which holds a tool called a marlinspike, and the pipe lanyard they wear while in their dress uniforms. As technology advances and changes, so does the job description of many of the rates in the Navy. Ships are no longer powered by wind, weapons are no longer fired after being hand tamped with gunpowder. The boatswain’s mate’s job, though has, and will, stay its course.